Measure optics to 800 mm diameter with the resolution and flexibility of a standard 4" interferometer. AccuFiz Measurement System for 600mm Optics, including (right to left): The AccuFiz 100mm aperture interferometer, 100-600mm Aperture Converter, Phase Shifting Tip/Tilt Mount and Rotational Tip/Tilt Mount. 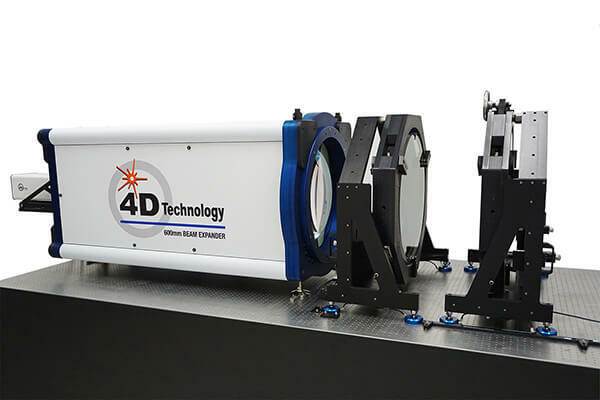 4D Technology large optics accessories let you measure optics up to 800 mm in diameter using a standard, 100 mm aperture AccuFiz interferometer. Now you can take advantage of the high wavefront quality and reliability of a standard AccuFiz to measure large flats and large-diameter curved surfaces. 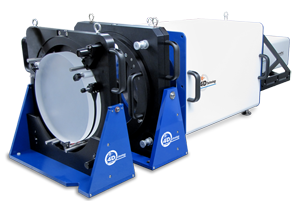 4D compact, high performance aperture converters produce collimated test beams of up to 800 mm diameter. Kinematic mounting makes it possible to quickly remove the AccuFiz for stand-alone operation, then to return the instrument to the aperture converter with no need for re-alignment. 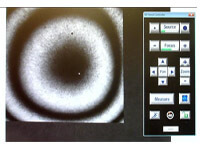 A visible wavelength, coarse alignment laser makes it easy to quickly rough align the reference and test optics. 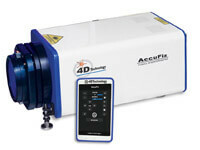 4D mounts provide highly repeatable tip and tilt of the test and/or reference optics. The return mount includes rotation to aid 3-flat testing and other measurements. The reference tip/tilt mount includes a piezo-actuated phase shifter for temporal measurements. Single Ethernet cables connect the mounts to the AccuFiz for fast, easy setup. 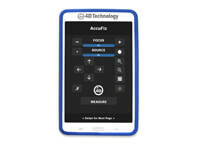 A range of transmission and return flats are available, with λ/10 or λ/20 wavefront quality. AccuFiz Measurement System for 300mm Optics, including (right to left): The AccuFiz 100mm aperture interferometer, 100-300mm Aperture Converter, Phase Shifting Tip/Tilt Mount and Standard Tip/Tilt Mount.